JJC SRB series of soft release buttons ensures a comfortable finger touch at the top of your camera. The soft release buttons are made of brass. This series soft release buttons are divided into two different shapes- concave surface and bulged surface. Just screw the SRB soft release button into shutter release button’s threads and you will enjoy the soft and steady shutter release operation. In addition, it decorates your camera, which will make your camera look more stylish and elegant. After it is mounted on your camera, each time you capture a photo, you can feel its smooth soft surface. Additionally, the two kinds of release buttons are both available in nine colors. Two rubber rings are included in every package, which are mainly used for Fujifilm X series cameras to ensure a tight attachment, while not for RX1 series cameras. If your flat camera shutter button is not equipped with a female thread, you can use JJC SRB-M (optional) to help JJC SRB to mount. 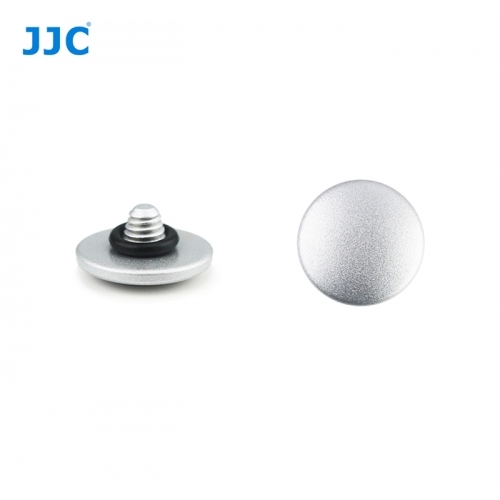 JJC SRB series of soft release buttons also fits other cameras with a shutter release socket which is compatible with a mechanical shutter release cable.